The Skrulls form one of the biggest intergalactic empires in the universe with a mastery over both science and warfare. Long-time adversaries of both the Kree and humankind, the Skrulls will always remain a constant presence in the theater of cosmic conflict. Have the Fantastic Four turned to crime before their super hero careers ever truly began? No, it’s shapeshifting Skrull spies that have impersonated them! Luckily, the real FF breaks out of their specially-made alien cells and are able to clear their names. As punishment for their misdeeds, Reed hypnotizes the intergalactic interlopers into believing that they’re common cows! The war between the massive Kree and Skrull Empires has raged for millennia and now the Earth’s Mightiest Heroes are caught in the middle! It’s Captain Marvel — renegade Kree soldier and defender of Earth — who will play a pivotal part in the war and keeping Earth safe from both war-faring races. Witness the inciting event that precipitated the Kree-Skrull War all those years ago! The universe’s deadliest conflict began when a Skrull science expedition came upon the planet Hala, homeworld to both the Kree and Cotati races. The Skrulls devise a test to determine the superior species and when the Cotati win, the angered Kree kill them all along with the Skrull visitors. The heads of the Kree and Skrull empires decide that whoever wins a duel on the moon will win the entire Kree-Skrull War! The war must end here! The world eater Galactus looms over the center of the Skrull Empire. With the aid of his herald Nova, the Devourer consumes the energy of the Skrull’s throneworld, killing the royal family and countless others in the process. Annihilus and his armada, the Annihilation Wave, have burst out of the Negative Zone into positive space. Despite the best efforts of the Super-Skrull and other cosmic super beings, the Wave pressed on, destroying dozens of Skrull worlds and crippling the still-recovering Empire. After years of infiltration and careful planning, the Skrull’s clandestine invasion of Earth begins! Who are the real heroes and who are Skrull imposters? 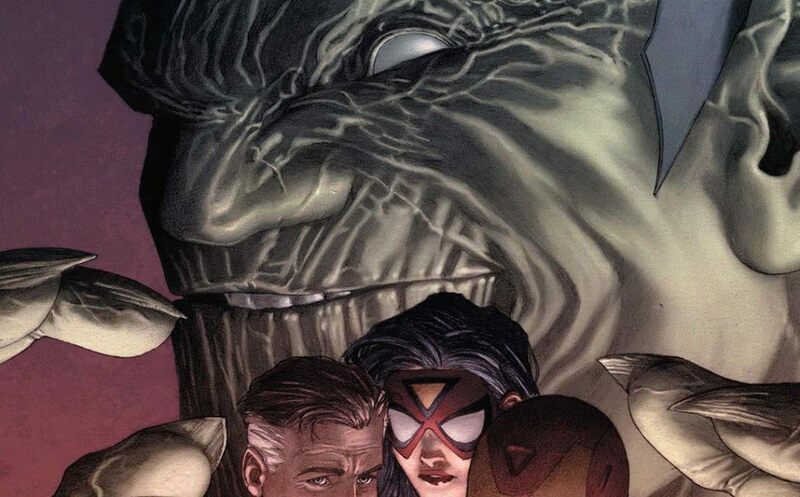 And what is the Skrulls’ nefarious endgame once the planet has been conquered? The ultimate question is — Who do you trust? This handbook is packed with page after page of dossiers on Skrulls both friend and foe. It’s the perfect guide to help you navigate the uncertainty and suspicion of the Secret Invasion!